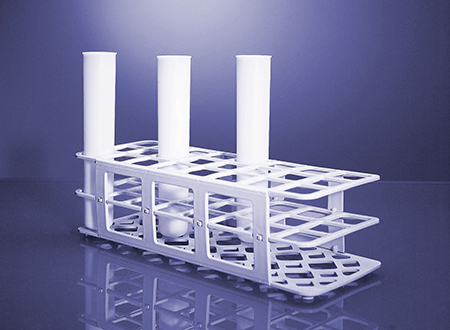 Different racks are available for the adequate storage of the various vessel types and liners of Multiwave PRO as well both vial sizes of Monowave 300. 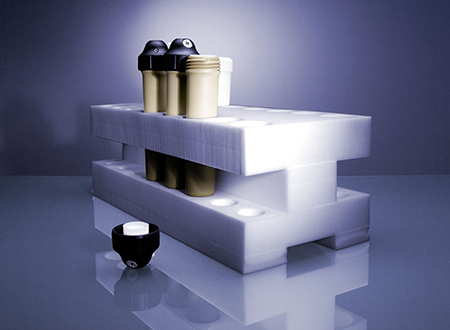 For vessels applicable in the multimode reactors Anton Paar supplies Rack 16, a polyethylene foam block for 16 vessels or liners of Rotor 8 and Rotor 16, and Rack 24, a plastic lattice holding 24 reaction vessels of Rotor 48MF50 as well as 24 of the 30 mL vials of Monowave 300. 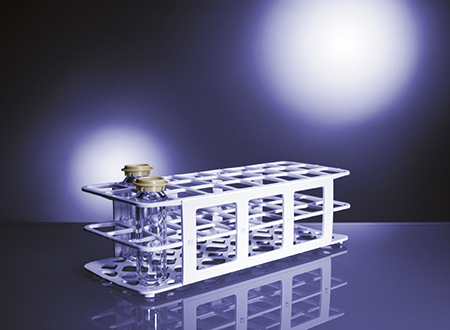 Additionally plastic stands for 40 positions of 10 mL vials of Monowave 300 are available.